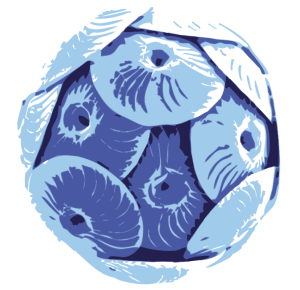 Numerous studies have demonstrated that early life stages of marine calcifiers are particularly susceptible to ocean acidification and warming. Thecosome pteropods have been identified as particularly vulnerable to the projected oceanic changes because of their aragonite shells. Pteropods can dominate zooplankton communities, are key components of high latitude pelagic food webs and act as important contributors to carbon and carbonate fluxes. However, difficulty in capture, incubation and cultivation has left our present understanding of their life history incomplete, especially with regard to the relative vulnerabilities of early life stages. This is particularly crucial within the Southern Ocean due to rapid warming and acidification. We investigated the response of Limacina helicina antarctica to the predicted synergistic changes in temperature and pH within the Southern Ocean. Adults were incubated on-board the R.R.S. James Clark Ross for 18 days under ambient conditions (1.5˚C and pH 8.1), during which time some specimens spawned eggs. Larvae that subsequently hatched were incubated under ambient and projected 2100 temperature (1.5 or 3.5˚C) and pH (7.6 or 8.1) regimes. Incubators comprised of filtered seawater with no antibiotic, sterilization, nutrition or stirring techniques. After five days, larval survival was investigated along with shell morphology and dissolution via scanning electron microscopy. We demonstrated ocean acidification significantly reduced pteropod survival and caused shell dissolution. Warming alone had little impact on pteropods but in synergism with acidification individuals displayed shell deformation and dissolution. This is the first evidence that ocean acidification and warming impacts Limacina helicina antarctica larvae in the Southern Ocean. We demonstrate that acidification and warming produce a synergistic, negative impact on pteropods. Our findings address a key knowledge gap in temperature and ocean acidification impact on the early life-stages of this sentinal species.